A fourth woman has told police that a massage therapist who worked in D.C. and Maryland touched her inappropriately. 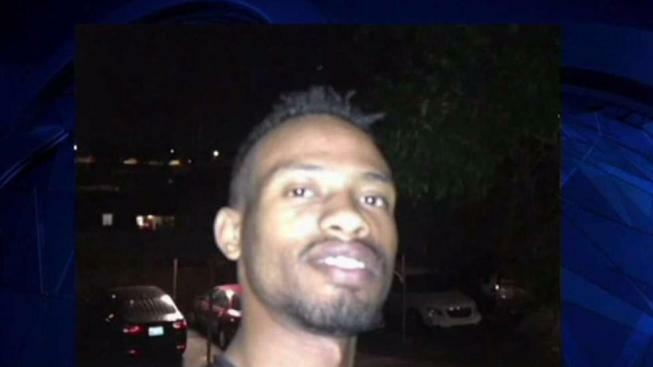 The woman told police that Habtamu Gebreselassie, 24, touched a private area without her consent at a massage parlor on the 2000 block of P Street NW in D.C. in mid-June, a police report shows. This is now the fourth report of sexual misconduct against Gebreselassie, a Silver Spring resident. The other three alleged attacks occurred at Massage Envy locations in the Tenleytown neighborhood of Northwest D.C., and Bowie, Maryland. Gebreselassie has been charged in two claims: for attempted sexual abuse on Aug. 28 at Massage Envy in Tenleytown and for sexual abuse Sept. 17 in the same location. A third woman has come forward to say that a 24-year-old employee at Massage Therapy locations in D.C. and Maryland sexually abused her. News4's Mark Segraves has the story. One alleged victim said she called police after seeing Segraves' reporting on another victim. Another victim called News4 directly. 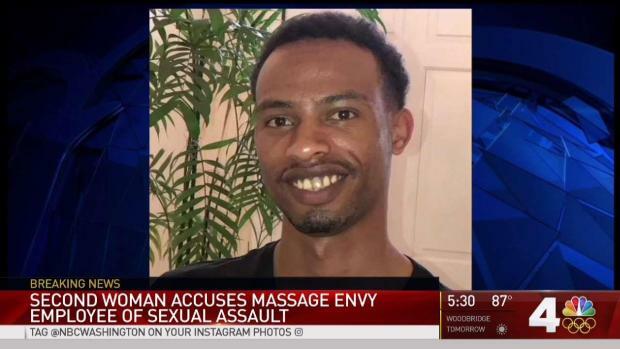 Earlier Thursday, News4 reported that a woman told Massage Envy that Gebreselassie sexually abused her during a massage and the company offered her a free spa day when she told them what happened. 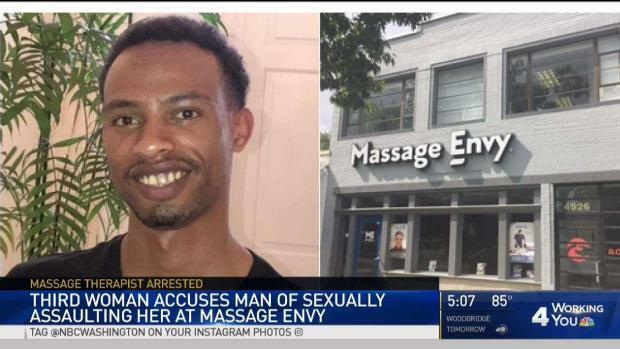 That woman, who asked News4 not to identify her, said Gebreselassie touched her inappropriately, bruised her and made her feel uncomfortable at the Massage Envy location in Bowie, Maryland, on June 20. She says she reported the attack to management the next day and asked to cancel her membership. She says she was told she could not do so but that she could have a free spa day, as a courtesy. Also, she says management told her Gebreselassie had been transferred to a location in D.C., so she would not see him again at the Bowie location. The woman contacted News4 early Thursday to tell her story. News4's Mark Segraves informed prosecutors, who declined to confirm they were speaking with her. During Gebreselassie's court appearance later Thursday, prosecutors tried to enter the possibility of a third victim into the record. 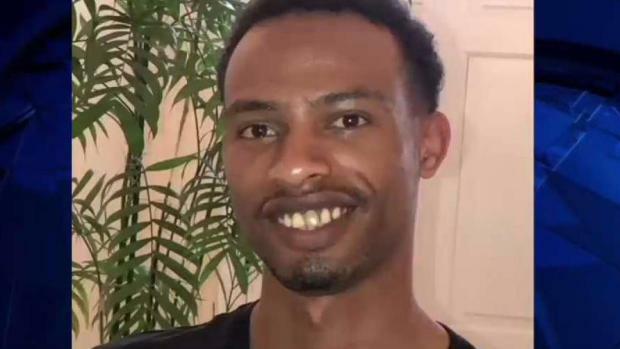 The judge denied the request because Gebreselassie has not been charged in connection to the alleged victim June 20. Days after a woman reported a sexual assault at a Massage Envy location in Northwest D.C., another woman says the same masseur attempted to assault her. The alleged victim in the first incident says she told management. News4's Pat Collins reports. A 66-year-old woman told police Gebreselassie tried to sexually abuse her on Aug. 28. She was getting a massage from Gebreselassie about 2 p.m. when he touched her inappropriately, court documents say. She yelled at him, and he fell to his knees, she told police. "I've never done this before. I don't know what got into me," she told police Gebreselassie said. The woman told police she told the manager and owner of the Massage Envy location on Sept. 5 what happened. Management wrote a report, gave Gebreselassie additional training and allowed him to stay on the job, a D.C. detective testified in court Thursday. A massage therapist allegedly sexually assaulted a customer during a massage, according to DC police. Mark Segraves reports. Diane Kelley, a co-owner of the Tenleytown franchise, refused to answer News4's questions on Thursday. Asked repeatedly why she allowed Gebreselassie to keep working, she hung up the phone. A corporate spokesperson for Massage Envy said they could not comment on the franchise's "confidential employment matters." "We can say that Massage Envy Franchising has a Zero Tolerance Policy on inappropriate conduct and requires its franchisees to conduct fair, thorough and objective investigations with respect to any allegation of inappropriate conduct," a statement said. "We are evaluating any additional information we receive to verify that requirement was met in this instance." Another woman says Gebreselassie assaulted her at the same D.C. location nearly three weeks later, at about 3:45 p.m. Sept. 17. She ran out of the business and called police, prosecutors said. Gebreselassie told police he did nothing wrong. News4 was first to report the Sept. 17 case, on Monday. The alleged victim in the Aug. 28 case told police she came forward after seeing News4's Mark Segraves' story. Gebreselassie declined a plea agreement during his court appearance Thursday morning and was held without bond. Massage Envy said the franchise owner conducted a background check on Gebreselassie. "The therapist briefly trained at another location owned by the same franchise owner before joining the Tenleytown location once it opened," the company said. Gebreselassie is due in court again Oct. 11. If he is convicted, he faces decades in prison. At the Potomac Massage Training Institute in Silver Spring, Maryland, executive director Tamera Gelman had these three tips for protecting yourself when you get a massage: Ask if your massage therapist is licensed, if he or she underwent a background check and how long he or she has worked for the company.